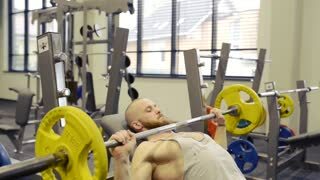 Young muscular man in gym lifting a barbell on bench. 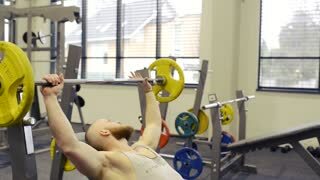 Young muscular man in gym exercising, lifting barbells. 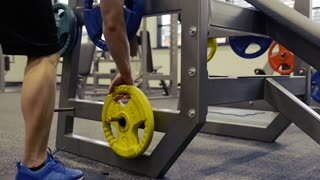 Image of a muscular man pulling a heavy barbell at the gym.